﻿The fee for my birth support package is $1000*. *I believe that every family should have the labor, birth, and postpartum support they desire. Please contact me to discuss payment plans. There is a $50 travel fee for families who live further than 30 miles outside of 75067. 1 postpartum visit in your home a few days after birth, which includes delivering your completed placenta services (if you chose to have me do your encapsulation), discussing, decompressing, and embracing your birth experience, help with non-medical baby care questions, and assistance with baby-wearing. I will also give you the timeline of events. It is my goal to make sure you are recovering gently, and offer assistance with light household chores, such as laundry. 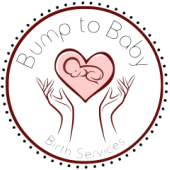 Before leaving, I will make sure that you have a good plan and the right tools to ease the healing and transition process during the following weeks with a newborn. for the reduced fee of $150. and one PRENATAL MASSAGE for free! I truly believe that every woman deserves a doula for her birth experience, whether that be at home, in a birth-center, or at a hospital. Even women receiving planned Cesarean Sections benefit greatly from an experienced doula's support. Payment plans can be arranged if financial assistance is needed. Contact me with questions.